Which 2019 Honda Civic Is Right for You? Honda's reputation for reliability is high, and few cars are more durable than the Civic. 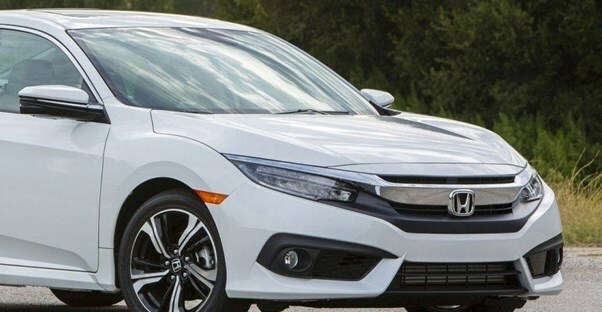 The 2019 Honda Civic remains unchanged from the previous year. It has five different trims, as well as two other performance-tuned models (the Civic Si and Civic Type R). Each trim offers a different balance of comfort, performance, and affordability. Our guide breaks down each trim to help you make a choice you feel good about. The 2019 Honda Civic LX starts at $19,450 and is one of the cheapest sedans on the market. Great reliability and a cheap price make for a win-win. The LX may not be for everyone. It comes standard with a six-speed manual transmission, and changing it to an automatic will add an additional $800. The engine is a 2.0L four-cylinder that’s capable of 158 horsepower and 138 pound-foot of torque. If a manual is alright, it has some nice features like Honda Sensing and multi-angle rearview camera with guidelines, Bluetooth, and capless fuel filler. Since it’s a smaller sedan, it even gets great gas mileage of up to 25 mpg in the city and 36 mpg on the highway. Opting for the CVT automatic bumps up the city rating to 30 mpg in the city and 38 mpg on the highway. A 2-door coupe model is also available at this trim level that has the same features as the 4-door sedan except that the automatic CVT transmission is standard. There is no manual transmission offering on the Civic Coupe LX. The price is a little higher than the sedan model, costing $20,650. Additionally, a hatchback model, where the back of the vehicle opens to a rear cargo area instead of a separate trunk, is available for $21,450. The 2019 Honda Civic Hatchback LX has a more powerful 1.5L turbocharged engine than its sedan and coupe siblings, capable of 174 horsepower. This is an automatic CVT transmission; like the coupe model, there is no manual transmission offering. Trim features are comparable across body styles, however. The Sport trim is a new trim option for the Civic in 2019. Starting at $21,150, the 2019 Honda Civic Sport comes standard with the same six-speed manual transmission as on the LX trim. An automatic CVT is available for $800 more. Unlike the LX, however, the Sport trim allows for Apple CarPlay and Android Auto integration. The sporty-inspired wheels are 18-inches, an increase from the 16-inch wheels of the LX. Other features include a 7-inch display audio with electrostatic touchscreen, sport pedals, and leather-wrapped steering wheel and shift knob. For drivers opting for the automatic CVT, paddle shifters on the steering wheel complete the sporty performance theme. A 2-door coupe model is also available for the Sport trim. Like the regular Civic Sport, the Civic Coupe Sport comes standard with a manual transmission and the option to pay more for an automatic CVT. The starting MSRP of the Civic Coupe Sport is $21,450. Additionally, a hatchback model is also available for $22,250 at this trim level. The 2019 Honda Civic Hatchback Sport has a more powerful 1.5L turbocharged engine than its sedan and coupe siblings, capable of 180 horsepower. A manual transmission is also standard on the hatchback model. Otherwise, most features are the same. It is possible to upgrade the LX to have an automatic transmission. But if you’d rather have an automatic, you might as well pay $23,400 to get extra features along with it. The 2019 Honda Civic EX is equipped with an automatic CVT, which increases the fuel economy to an estimated 32 mpg in the city and 42 mpg on the highway. The smaller additions to the EX make it a much better choice when compared to the LX. The exterior adds a one-touch power moonroof with. The inside includes push-button start, smart entry with walk-away auto lock, and SiriusXM radio. Other tech features include heated side mirrors and remote engine start. A 2-door Civic Coupe EX model is also available with the same trim features for a starting MSRP of $23,200. A hatchback model is also available at the EX trim for $23,750. The 2019 Honda Civic Hatchback EX has a more powerful 1.5L turbocharged engine than its sedan and coupe siblings, capable of 174 horsepower. Otherwise, most features are the same. The 2019 Honda Civic EX-L starts at $24,600 and has a few more features to make the sedan feel more luxurious without going crazy cost-wise. Drivers will notice leather trim on the seating and the HomeLink remote system that is smartly integrated into the automobile interior. The EX-L has a rearview mirror that automatically dims whenever there are bright headlights behind you. We suggest, however, that if you are wanting more features above the EX trim, opting for the Touring trim may give you more bang for your buck. There is no 2-door coupe available at the EX-L trim level; however, there is a hatchback model termed "EX-L Navi." Priced at $26,250, the 2019 Honda Civic Hatchback EX-L Navi has the leather seating, steering wheel, and shift knob of the sedan model. It differs by also having a Honda satellite-linked navigation system with voice recognition and Honda HD digital traffic. Buyers can't find this feature as standard on a sedan model until the more expensive Touring trim. Lastly, the Honda Civic Touring is the ultimate compact and starts at $27,300. It has all the features any driver could want for safety, comfort, and sensibility. The exterior of the Touring adds LED headlights with auto on-off functionality, side mirror turn indicators, and rain-sensing windshield wipers. The interior gets a significant upgrade to a 450-watt premium audio system with 10 speakers and a subwoofer. This trim expands the heated seating to the rear, as well. The infotainment system also includes a Honda satellite-linked navigation system with voice recognition and Honda HD digital traffic. If you're a chrome lover, the door handles become chrome on the Touring trim as opposed to being the car body color on lower trims. A 2-door Civic Coupe Touring is available at a starting MSRP of $26,850. It has the same features as the regular Civic Touring. Honda also offers a hatchback model at this trim level under the label of "Sport Touring." The 1.5L turbo engine on the 2019 Honda Civic Hatchback Sport Touring is capable of just a smidge more horsepower (180 compared to 174). Even so, it still has great fuel economy with 30 mpg in the city and 36 mpg on the highway. It does have a slightly better audio system when compared with its sedan sibling. The 12-speaker (2 more than the sedan) and subwoofer arrangement is 540 watts. The MSRP is $28,750. The 2019 Honda Civic Si is technically a separate model offering, but we included it in this trim comparison because it shares identical dimension measurements to the regular Honda Civic. The "Si" in the name stands for "sport injected," making the Honda Civic Si a performance-enhanced sport. It comes in both 4-door sedan and 2-door coupe offerings. Regardless of how many doors you choose for your Civic Si, there is only a single trim offering and the base price is the same: $24,300. The Si has a performance-tuned 1.5L turbo 4-cylinder engine that adds additional power and torque, compared to the non-sport Civic. This engine is capable of 205 horsepower and 192 pound-feet of torque. The downside, if you care about fuel economy, is that this is the worst-performing Civic model when it comes to MPG ratings. The EPA estimates 28 MPG in the city and 38 MPG on the highway. The Civic Si only has a manual transmission option, and the exterior features a rear wing spoiler and 18-inch machine-finished alloy wheels. Inside are unique sport front seats, and the entire cabin has unique red stitching trim. Like the Civic Si, the Civic Type R is a separate model offering but shares the dimensions of regular Civic hatchbacks. That's why it appears in this trim comparison. If you're wanting to go all out with sporting performance, the 2019 Honda Civic Type R is the model for you. The 2.0L VTEC turbocharged engine is capable of 306 hp and 295 pound-feet of torque. The whole thing is wrapped in a red branded engine cover. At the rear, buyers will notice a sporty center-mounted triple outlet exhaust. The sporty performance design is integrated inside and out. Most noticeable is the large rear wing spoiler and Type R badges and branding. Inside, high-bolstered sport front seats with red and black suede-effect fabric capture the racing feel. Needless to say, a close-ratio manual transmission is the only powertrain offering on this model. The starting MSRP is $35,700. Which 2019 Volkswagen Jetta Is Right for You?